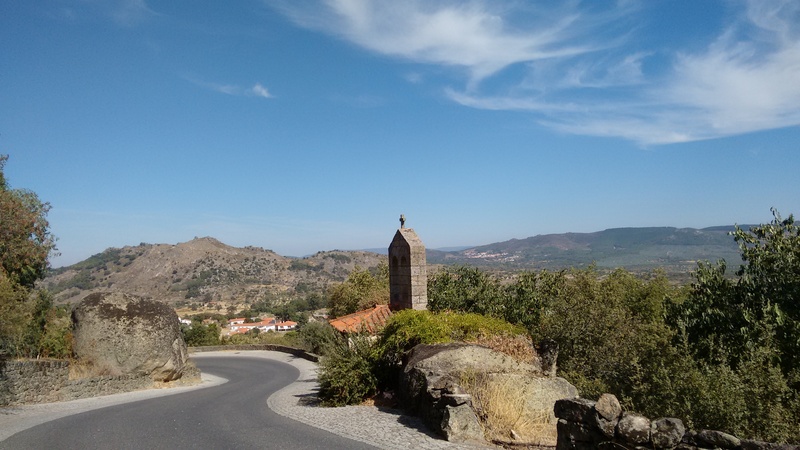 Overview: A gentle ride through rolling Alentejo countryside from Evora to the small town of Arraiolos and then back via some peaceful backroads. There’s also an ecopista (cyclepath) being created along an old railway line between Evora and Mora (about 60km to the north). This ride cuts across the ecopista just outside Arraiolos. This section is still a gravel track (it’s sealed closer to Evora) but could provide an alternative route. Distance & difficulty: 53.5km/33m. Easy. There are a few steady, gentle climbs but no real hills and it’s all quite relaxed. The roads are quiet too. 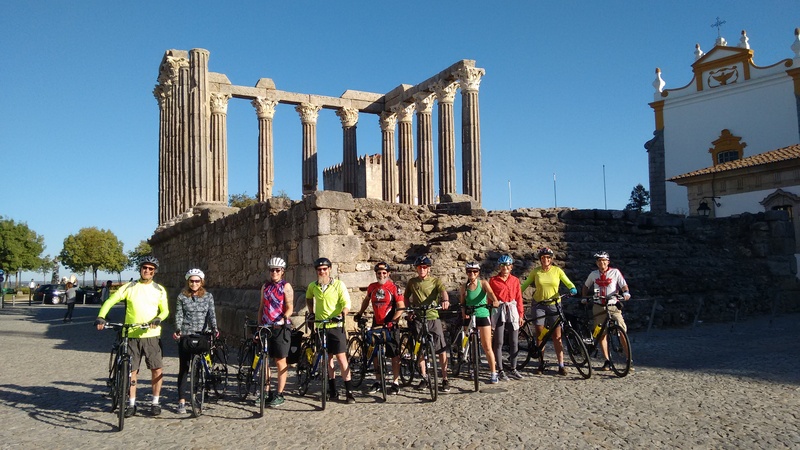 Facilities: Accommodation – there are hotels and pensions to suit all budgets in Evora, plus the campsite where the ride starts. Shops & supermarkets – again, a good selection in Evora, which is the main town for the region. There are also some small shops and a MiniPreco supermarket in Arraiolos. Cafes & restaurants – everything you want in Evora, plus there’s a tiny basic cafe in Graca do Divor (about 12km from the start) and a choice of cafes and restaurants in Arraiolos. 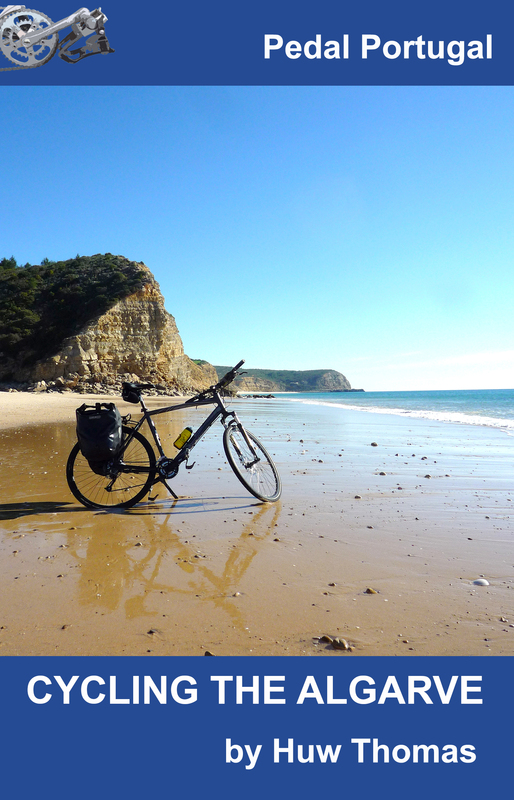 To begin: The ride starts from the Orbitur campsite on the outskirts of Evora. Follow the walls of the old city round until you get to the R114/N380 towards Arraiolos. There’s also a cycle path (red tarmac) that parallels the road for the first km or so. 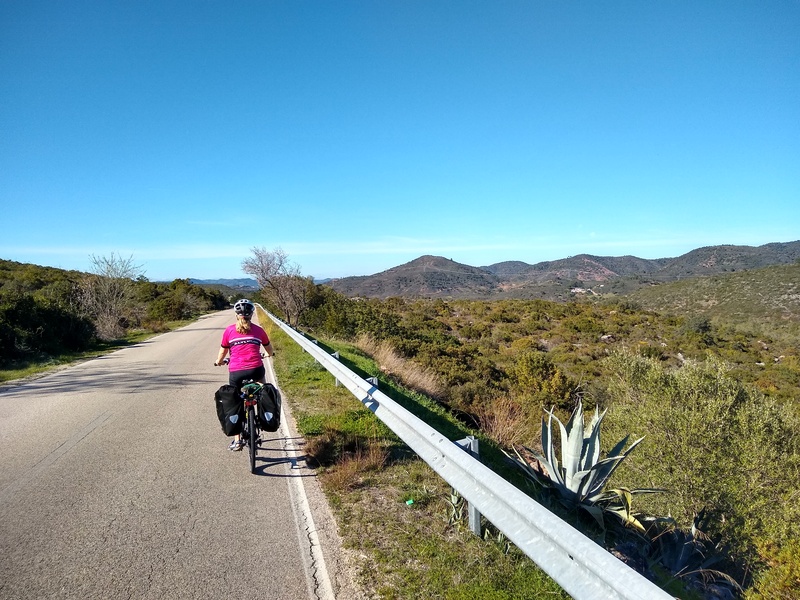 It’s a gentle but fairly steady climb up away from Evora as you head northwest towards Arraiolos. This is a main road but it’s very quiet and has a decent hard shoulder that’s plenty wide enough for cycling on. The scenery is a mixture of farmland, dotted with cork oaks much of the way. There’s a basic cafe at Graca do Divor. 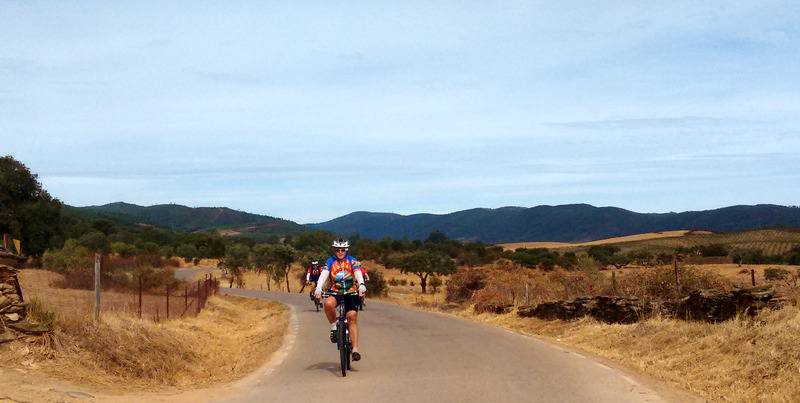 On to Arraiolos: It’s a rolling ride on to Arraiolos, an old town with a ruined hilltop castle. 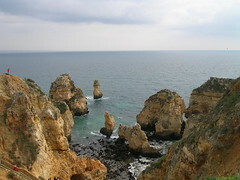 The place is famous for its carpets – supposed to be the best in Portugal. It’s also a pretty little place and well worth spending a bit of time wandering its cobbled streets. There are great views of the Alentejo plains from the castle. Heading west: You leave Arraiolos on the N4 towards Spain but you’re unlikely to see many cars and will take the first right towards Igrejinha. From here, the road surface is a bit rougher but it’s very rural and quiet. You’ll see more cows and egrets than people or cars. There’s an unusual church in Igrejinha, which also makes a convenient spot for a picnic. Back to Evora: From Igrejinha simply follow the signs back to Evora. It’s all quite rural, pretty, quiet… and flat! The worst part is the cobbled roads around Evora. Riders: Huw & Carolyn Thomas, October 2011.